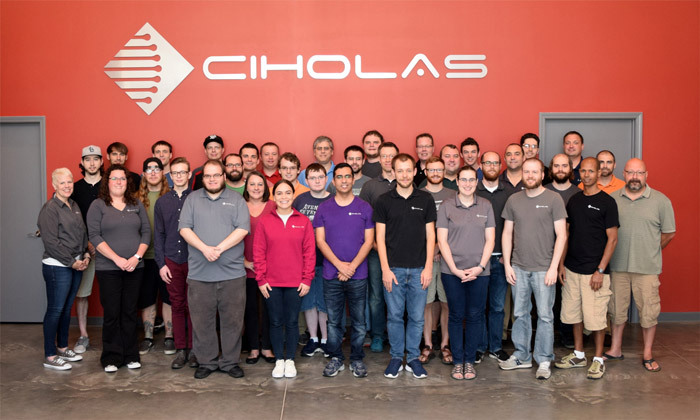 With more than 250 years combined engineering experience, Ciholas is made up of people from a wide variety of backgrounds, disciplines, and interests. More than 75% of our staff are engineers allowing us to focus on projects that include electrical, software, computer, and mechanical engineering. We operate a productive, focused, and relaxed work environment and encourage our employees to collaborate with others and grow their skills on a wide variety of technologies and products. Every one of our employees is an individual with different strengths. We try to accommodate those strengths and individual preferences in the way we plan and execute our work. While this requires more effort at the management level, we know it yields better results and a more satisfied staff overall. Technology changes on a daily basis and here at Ciholas learning is a lifelong pursuit. We encourage every employee to grow into new areas and skills as the opportunity arises. No one here gets pigeon-holed into one role. We trust our employees to perform and operate in a way that is ethical and consistent with company goals. Our employees care about our work and our clients and we care about our employees. We want our employees to have a good, balanced life. To achieve this, we set a target number of hours of work each year that allows employees to have the ability to live and experience life outside of work. We’ve even provided a fun room and a relaxation room for those times when you just need a short break from your day-to-day responsibilities. Our management team works to empower our employees to do their jobs effectively with minimal obstruction. We seek to remove barriers to productivity rather than create them. Our polices provide the maximum amount of flexibility that we can to our employees. From having flexible daily schedules and vacations to providing employees with the equipment and materials that they need to be their most productive. We even let you pick out your own office chair!